It can seem daunting to move from a "solopreneur" to a REALTOR® with an assistant and agents to direct. Has fear of the unknown created paralysis of analysis in your business? 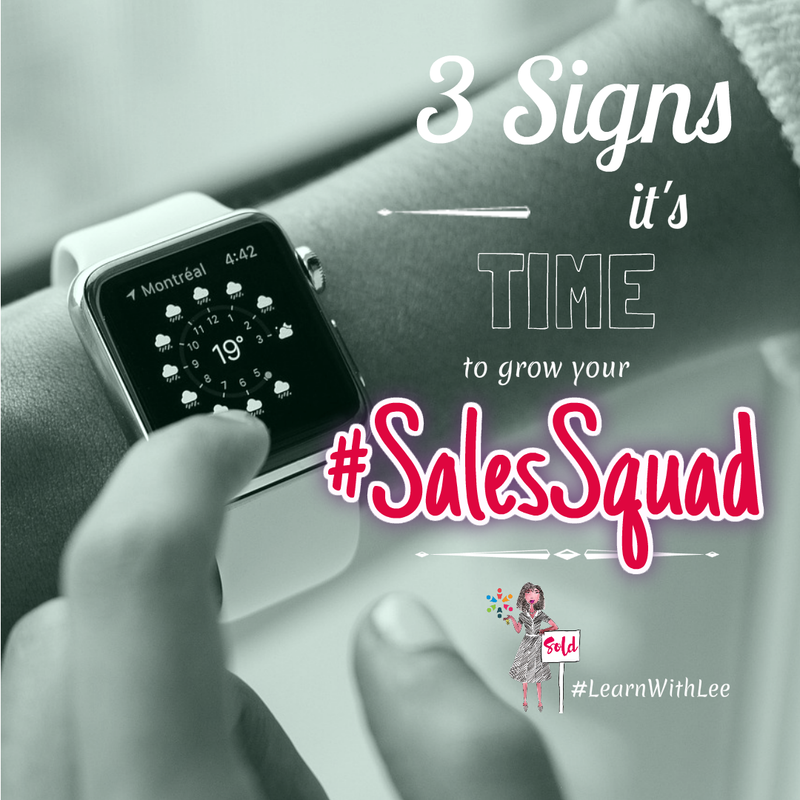 Here are three signs it is time to grow your sales squad in order for your business to go to the next level. There are parts of real estate sales that you love but you just have not done them in ages. Maybe you loved networking events and getting to know new neighbors but there is no time for that. Or, perhaps you enjoyed educating newbies on the buying and selling process, which you had to scrap due to time constraints. You only have memories of whatever initially struck your fancy about selling real estate because who has time for it now? Why? Because you have gotten bogged down in the administrative minutiae. YOU NO LONGER HAVE PATIENCE FOR YOUR "PROBLEM CHILDREN"
Perhaps you now dread luxury buyers that need a concierge service, underwater sellers, first-time buyers, green investors, or any other clientele type that you used to love. Does it mean that you need to find a new career? Not necessarily. Often times, the longer we are in real estate sales the more likely we have discovered our niche - those that we enjoy working with and vice versa. That is a wonderful discovery that we simply have to heed. In those instances, instead of turning away a potential client with a disgusted sneer and snarky, "I only work with _______", we can and should seek to connect them with an agent that LOVES their season of life (be it champagne tastes with a beer budget or anything else). You are busy "spinning your wheels" but aren't increasing your commissions so I can understand your frustration. There are so many daily tasks that need to be completed but you are unable to prioritize the activities that directly translate into your bottomline increasing. That spells sales pipeline disaster in the making. Evaluate: How many hours are you spending on administrative tasks each week? If you had those hours back, would you be able to close more real estate deals? If you answered "yes", then finding a virtual or part-time assistant may be a great starting place for you. Check out these tips on hiring virtually. Who is your target client (just remember Fair Housing!)? You may find that you prefer a certain location, knowledge level or price-point. What other real estate agent(s) can you refer clients to that are outside of your targeted demographic? For example, one of the agents I coach is originally from Savannah, GA and as a result has a slew of buyers contacting her from the coast. At one point, she was driving back and forth from metro Atlanta (several hours) to personally work on each deal but I encouraged her to find a referral partner there and now she is closing deals in Savannah while growing her business in metro Atlanta - win/win! Click here to request a no fee pdf copy of this handy infographic to selecting referral partners. If you want to keep your deals "in house" and you are a lead generation machine, meaning you have 20 or more deals closing per year, then leverage this with hiring a buyer's agent that LOVES working with those you would consider "problem children" (e.g. those in a certain price point and so forth). You can regain the thrill and profitability of selling real estate with a little help, be it from an assistant, referral partner or buyer's agent. Please do not continue to struggle on your own; add to your sales squad and watch your deals grow.